2016 is a busy year for Special Olympics as thousands of athletes compete in 90 Area events in multiple sports all over Ireland. These Area events are the first step towards building the next team of Irish athletes to compete at World Games in 2019. In a major six-figure deal, Gala’s journey with Special Olympics Ireland begins by supporting the all-island Area events, and the relationship will reflect the four-year Olympic cycle, with Gala’s sponsorship continuing until the 2019 World Summer Games. Gala’s support also includes the Ireland Winter Games (2016), the World Winter Games (2017) and Special Olympics European Games (2018). Gala’s relationship with Special Olympics Ireland has strengthened since it became one of the main sponsors of Team Ireland at the Special Olympics World Summer Games last year, when Ireland brought home an incredible 82 medals. Commenting on the sponsorship announcement, Gary Desmond, CEO, of Gala explains: “Last year’s commitment to Team Ireland was a special partnership for Gala and from the outset, there were many special moments, right from the launch to the World Summer Games. Gala’s sponsorship of the all-island Area events is just the first of many initiatives that the Convenience Retail Group will be supporting over the next four years. Area events are hugely important to all of the athletes taking part, as for some this can be the highest level of competition that they compete at. 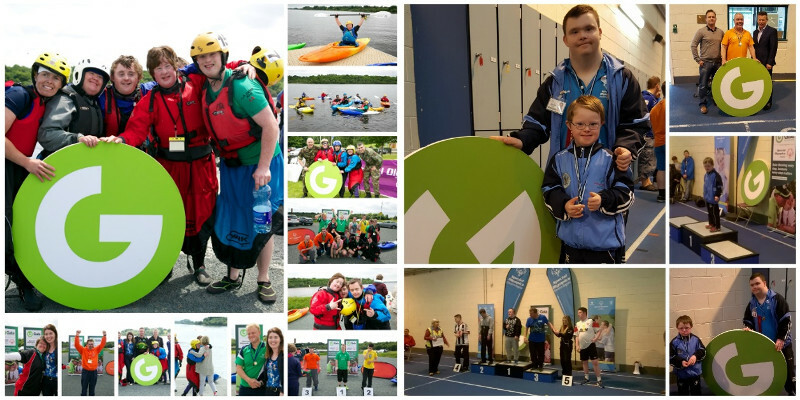 Matt English, CEO of Special Olympics Ireland comments: “We had a wonderful first year with Gala during the World Summer Games and are thrilled that Gala has become one of our major sponsors for the next Special Olympic cycle. This four-year pledge from Gala demonstrates their commitment to our athletes and the importance we afford to each step of the journey. From Area events in local communities, to competing on the world stage, each step is as important as the next for our athletes. Commenting on what makes the relationship with Gala Retail so important, Glenda Wright, Director of Marketing, Communications & Fundraising adds: “Our organisation has a natural synergy with Gala as it’s regarded as a Convenience Retail Group that supports its communities – the same communities in which many of our athletes and volunteers train and live in. The Special Olympics all-island Area events, supported by Gala Retail, are taking place across Ireland. The Area events are the first stage of a four-year advancement programme which sees athletes progress from one level of competition to the next. All athletes who participate at an area level competition are eligible to advance to the next stage of the programme, the Regional events of 2017, through the official selection process. Following on from this athletes can qualify for the Ireland Games in 2018 and finally to World Games level in year four.